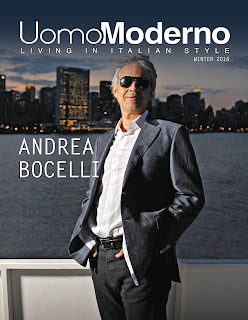 New York, New York (April 25, 2014)—This evening Uomo Moderno celebrated its one year anniversary in the Rooftop Lounge of the Gansevoort Park Hotel with over 700 guests. The event was organized by Herbert Fox Productions and presented Hollywood’s designer of the stars, Domenico Vacca, as well as special guests from the Kairos Italy Theater, such as its Director Laura Caparrotti, Actors Francesco Andolfi and Jacopo Rampini, and other members of the cast. In preparation for the event, seven design students of Parsons provided over thirty garments for a photographic shoot of the KIT actors at the Casa Italiana Zerilli-Marimò of New York University—all of which will be featured in the Fall Edition of Uomo Moderno magazine. At the Spring Launch Party, Uomo Moderno unveiled its signature drink entitled the “Uomo-tini,” which consisted of citrus vodka, peach schnapps, blue curacao, pineapple juice, and a lime, symbolizing the Mediterranean Sea and the island of Ischia—hometown to the publisher and his family. Publisher and host Francesco Di Maio was outfitted by Italian designer Nico Didonna, while the rooftop lounge was scented by Dr Vranjes of Florence, who decorated the lounge with 2.5- and 5-liter bottles of heavenly fragrances. Special thanks to Pureology and Rare Salon for providing 200 gift bags, as well as to Dr. Vranjes and Mosaique for gifts and door prizes. Emilio Vavarella was the photographer. Heartfelt thanks to partners and collaborators, including New York Italians, Quentin’s Friends, Viktorija Juodenaite Photography, as well as the Consulate General of Italy, Italian Trade Commission, and Cultural Institute of Italy. 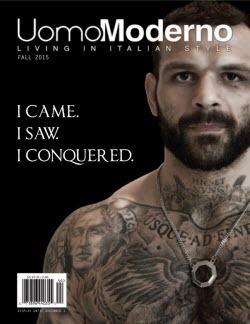 Uomo Moderno is the first and only all Italian men’s fashion and lifestyle magazine that features exclusively Made in Italy. 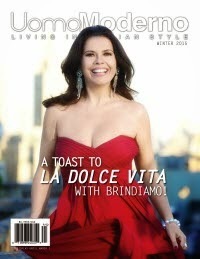 The magazine was launched one year ago in honor of the Year of Italian Culture in the United States. 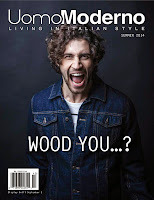 As an independent magazine, Uomo Moderno is created by a small team of passionate Italians with Francesco Di Maio at the helm, who, having worked in nearly thirty countries, funnels twenty years of journalism, publishing, fashion, and design into the project. Residing in Recanati, Dafne Perticarini is the travel editor and handles business development. 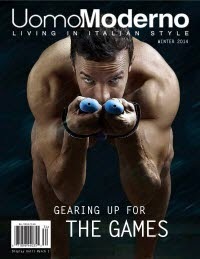 Federica Fatale of Rome is instrumental in market research, PR, and communication. 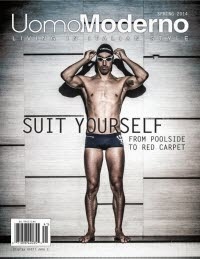 Post by Uomo Moderno Magazine.